The "Kentucky Kid" is gone, but his No. 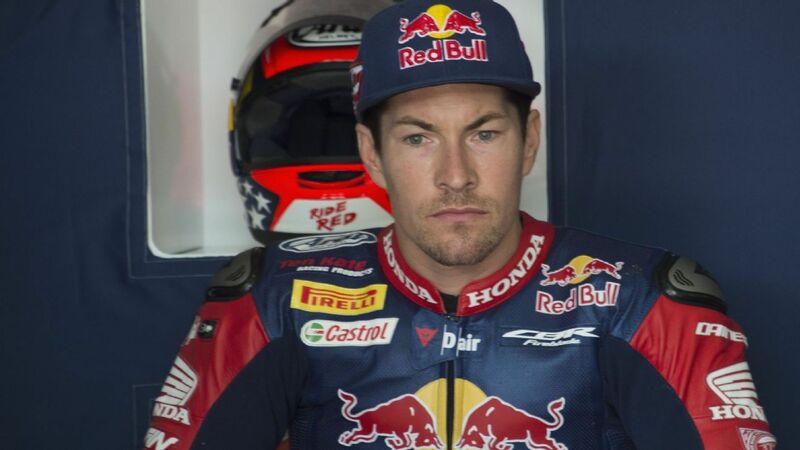 69 will have a permanent place in MotoGP. Jorge Martinez jumped onto Marion Calvo's moving motorcycle at the Costa Rica National Motorbike Championship before throwing punches at the rider. Fourteen-year-old Marcos Garrido Beltran died from injuries sustained in a motorcycle race on Sunday at the Jerez Circuit in southern Spain. Melissa Paris' "embarrassingly eclectic" playlist includes this Tom Petty favorite -- one she listens to in many different parts of her life. Race car driver Leah Pritchett depends on powerful arms and a rock-solid core. This move efficiently strengthens them both. Last fall at just 17, Hailie Deegan became the first female driver to win a NASCAR K&N Pro Series race. It turns out, "old-school" rapper Eminem helped inspire her. Last year, 17-year-old Jamie Astudillo became the first woman to podium at a MotoAmerica championship. With big goals for 2019, she shared the playlist that inspires her. Poor weather conditions caused the Valencia MotoGP to be interrupted about halfway through, but Andrea Dovizioso took advantage to win the season-ending race on Sunday. Jorge Lorenzo won the Catalonia Grand Prix, his second straight victory, after starting from pole position ahead of MotoGP points leader Marc Marquez on Sunday. Which race is when on the 2016 MotoGP calendar?